When it comes to your credit score, how low is too low? The number you really need to buy a house. We all know that when it comes to buying a house, there are a few things we need, like a down payment and a good enough credit score to qualify for a loan. But what does a “good enough credit score” really mean? Does your credit history have to be impeccable? Can you have a couple of boo-boos? And, if you do have issues on your report, how much of a hit will you take? But most of us can’t measure up to that number. Thankfully, we don’t have to. 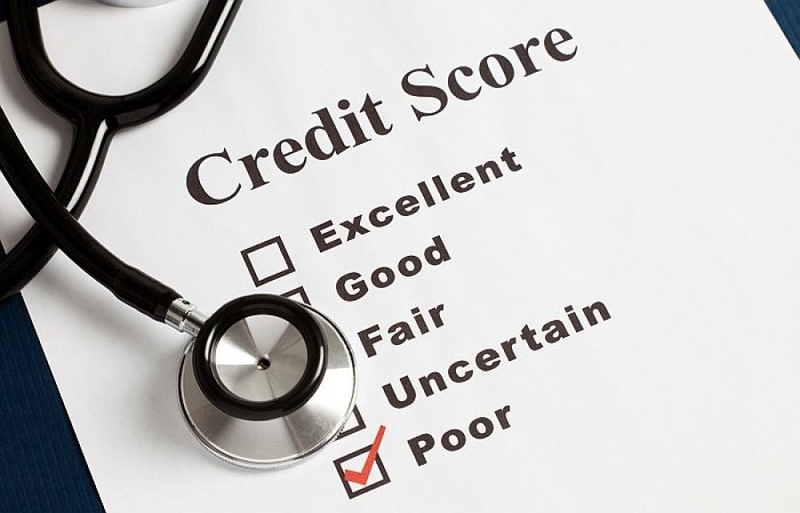 There’s room for lower scores – even really low scores – depending on the type of loan you’re applying for, with a number of other factors (your income and work history, the amount of your down payment, the state of the economy) thrown in. Knowing where the bottom is will help you figure out how to proceed. The advantage to a Federal Housing Administration (FHA) loan for many buyers is the low down payment. You may need only 3.5% down to purchase a home with this type of loan, which is backed by the government. But, you’ll need a minimum 580 credit score if you’re only planning to put 3.5% down. Can’t meet that benchmark? You’ll need more cash up front. For FHA loans, your credit score can be as low as 500. But, “Those with credit scores between 500 and 579 are limited to 90 percent LTV,” which leaves a lot of people out of luck. The issue with FHA loans for many buyers: That pesky private mortgage insurance (PMI), which can add several hundred dollars to the monthly payment and is “required any time you put less than 20% down on a conventional loan,” said My Mortgage Insider. There may be more wiggle room in that credit score if you can come up with more money for a higher down payment. But, if it’s too low, you’ll likely be pointed right back to FHA loans. On the other end, a higher score will get you the best possible interest rates. Have a credit score below 500? You’re officially in the “bad credit” zone. But, you may still be a candidate for a loan, even if you can’t qualify by FHA standards, by going with a subprime mortgage. The word “subprime” still sends shivers down the spines of many people because loans extended to what many industry professionals considered to be unqualified applicants were largely blamed for the last housing crash. Accordingly, many of these opportunities dried up in the aftermath. Today, though, subprime mortgages are available. Keep in mind that minimum credit scores will depend on the individual loan and lender, and each borrower’s unique set of financial circumstances. And, you’ll pay for the privilege of being extended a loan with higher rates and/or fees. “Subprime mortgage lenders mostly use collateral like equity earned when considering a ‘refinance’ or a more significant down-payment when talking about a ‘purchase money’ transaction,” said First Time Home Financing. If all other avenues fail, you may still be able to get a loan with your bad credit from a private money lender. These are individuals with money to spend who are looking for investments. Because your low credit score makes you risky, you’ll be charged more for your loan. We currently work with lender who can offer these loan program and we would be happy to put you in contact with these lenders so you can qualify for mortgage financing. Please CLICK HERE for additional information about these loans or give us a call at 480-213-5251.